Dr. Sayed Ibrahim, the CEO and Founder at SprinJene, an innovative provider of natural oral health products again joins eHealth Radio and the Dental and Oral Health Channels. Can you please remind our listeners about your company, its mission, and products. You mentioned us in the last interview that you were working in upcoming new oral health care products, can you tell us about them? Can you remind us the benefits of the main ingredient , black seed oil? Is the US consumer knowledgeable about the benefits of blackseed oil? What should be done to educate the end consumer? What is next for SprinJene? How many stores are you in as of now? Dr. Sayed Ibrahim is the CEO and Founder of SprinJene, an innovative provider of natural oral health products. A scientist committed to creating natural and healthy products for the educated consumer, Dr. Ibrahim is a pioneer who combines science and nature for safer, more effective natural oral care options to accommodate the needs of various lifestyles. He has patented an oral care composition, the toothpaste that contains extracts of Nigella Sativa, or black seed oil, and zinc. Dr. Ibrahim’s toothpastes are the only toothpastes in the world that boast the following 5 certifications: Halal, Kosher, Cruelty-Free, Vegan and Gluten-Free. Disrupting the oral health care sector with his patented formula, Dr. Ibrahim is a scientific executive with expertise in pharmaceutical and consumer health products and markets. He is an inventor, a chemist, a leader, and a scientist recognized for his product and technology innovations, leadership talents, scientific formulation skills and entrepreneurialism. Today, Dr. Ibrahim’s SprinJene toothpastes can be found in more than 13 countries in major grocery chains and independent health stores and pharmacies, and on major e-commerce sites. Dr. Sayed Ibrahim, the CEO and Founder at SprinJene, an innovative provider of natural oral health products joins eHealth Radio and the Dental and Oral Health Channels. Can you tell us what made you create this natural toothpaste and what makes this product different than other natural or organic toothpastes? Can you talk us about your new US patent of the blackseed oil usage in your toothpaste? Why blackseed oil? What kind of certifications does Sprinjene have? Do you have a toothbrush as well? Which stores are you selling your toothpaste at? online? Amazon? What is next for Sprinjene? Any mouthwash , other products? Dr. Aaron Nicholas DDS, practicing dentist, lead coach with the Dental Success Institute and founder of Monday Morning Dentistry, a company which provides education and training to dentists in variety of disciplines joins eHealth Radio and the Dental Health & Health News Channels. As the baby boomer generation ages, what health issues are/will they experience that will affect their ability to maintain their oral health? Do adults still need to worry about getting cavities? What about gum disease? Is it a significant problem? How can it be avoided? I know that kids get fluoride treatments but, recently my dentist has been recommending them for me too. Is this really necessary? How often do I really need to brush and floss to maintain my teeth? I’ve never really gotten into the flossing habit. What if I just brush with an electric toothbrush, is that good enough? I’ve never had a cavity, do I still need to floss? Does my oral health affect the rest of my body? Aaron Nicholas is a practicing dentist in Burtonsville, Maryland, but above all else he is a caring educator. As such, he strives to educate his patients about the best way to protect and maintain their oral health. He also frequently talks with them about how their oral health is impacting the health of the rest of their body. If you ever visit Nicholas Dental Care, he and his team will roll out the red carpet for you and provide a dental care experience that is second to none. Monday Morning Dentistry is Dr. Nicholas’ labor of love. 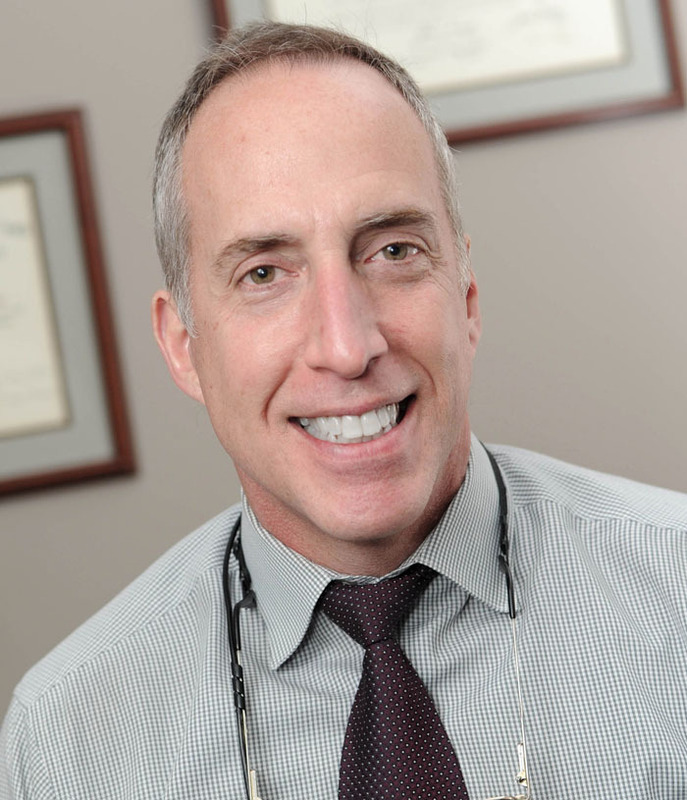 Here he has authored numerous programs and videos to teach dentists not only “what” to do but also “how” to do it in an efficient, predictable and painless manner. It is his attempt to give back to those that have helped him along the way. Starting in 2014 Dr. Nicholas became a coach with the Dental Success Institute. Here he coaches numerous dentists to business as well as clinical success. Both he and his clients feel that the two should go hand in hand. 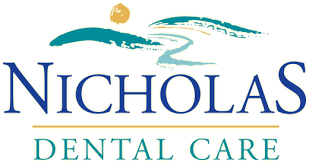 Most recently, Dr. Nicholas has opened the Dental Assistant School of Maryland. Here, he and his team are trying to give aspiring dental assistants the very best didactic and practical education to succeed at their chosen profession. Cole T. Evans, Founder and President of CONFADENT Oral Technology, the only healthy, convenient orally beneficial chewing gum that freshens breath, whitens teeth, reduces surface plaque, helps protect gums and fights harmful cavity-causing bacteria joins eHealth Radio and the Health News & Oral Health Channels. What makes this gum different from all the other gums and mints on the market? What is in this gum that makes it so effective? Are we supposed to be using this gum instead of brushing our teeth? What does the dental community say about the benefits of chewing gum? When should we chew CONFADENT and how many times a day? How did you come up with this product? 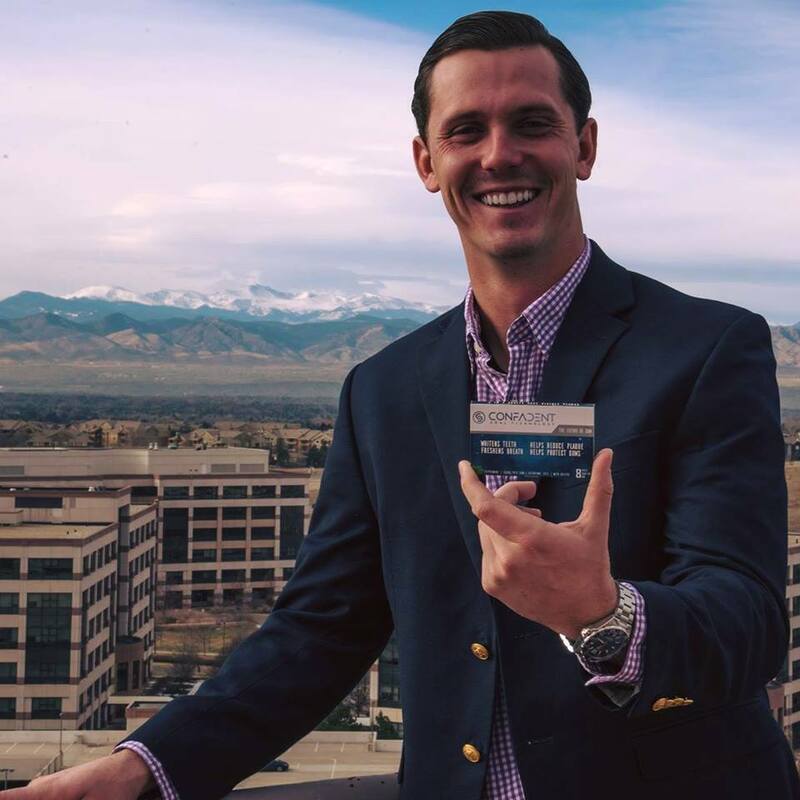 An ideator, leader, entrepreneur, and consummate networker, Cole Evans is focused on rapidly growing start-ups that bring innovative products to businesses and consumers. As Founder & President of Kiss Industries LLC, his concentration is on building strategic partnerships and business development. The team at Kiss develops solutions for health and wellness, addressing the need for superior delivery methods that bypass the common ingestion approach. 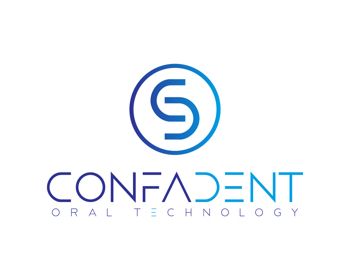 New to the market is CONFADENT Oral Technology, offering oral care between brushing. With FDA approved active ingredients, CONFADENT is the only healthy, convenient orally beneficial chewing gum that freshens breath, whitens teeth, reduces surface plaque, helps protect gums and fights harmful cavity-causing bacteria. It’s the Future of Gum! Check out the amazing product on our website at www.confadent.com. 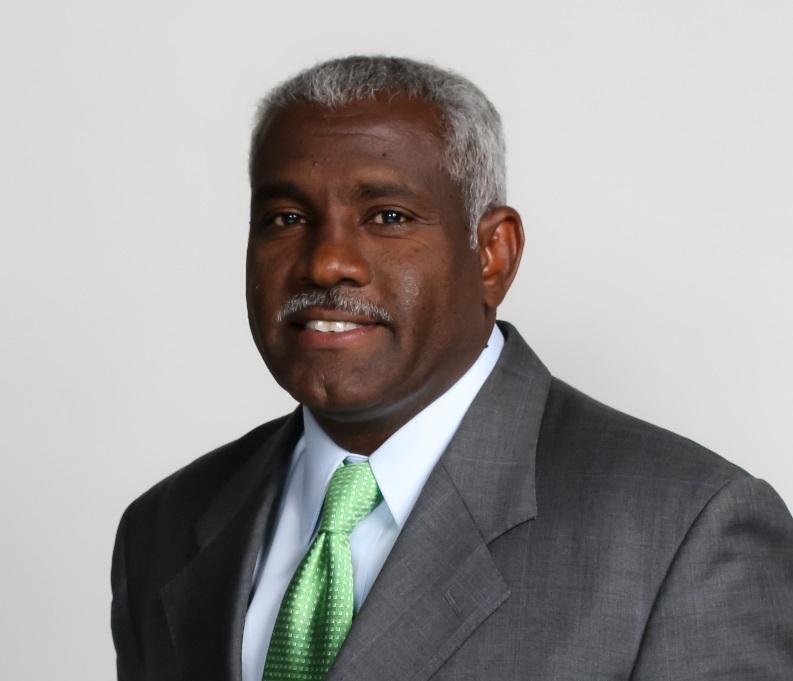 Evans has been involved – from invention to investor funding – in several start-up endeavors, earning prestigious awards and recognition for entrepreneurialism and business acumen. 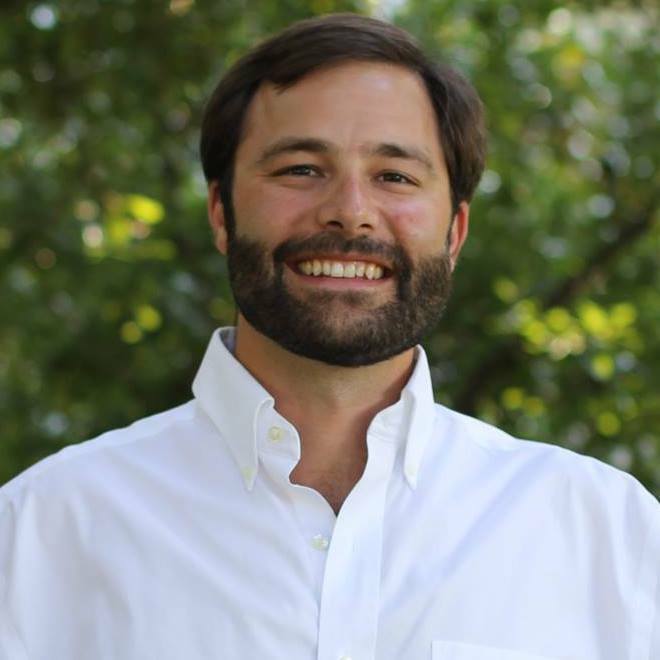 Dr. Ben Kacos, The President of the Northwest Louisiana Dental Association and the creator of Explore Education, which provides training for dentists joins eHealth Radio and the Dental Care, Health News & Oral Health Channels. How does gum disease affect our general health? What other dental problems can affect our health? How can we prevent these conditions? When you visit Benjamin M. Kacos DMD, expect quality oral health services. Each member of our team shows total commitment to his /her work and patients. Our staff members do all they can to help foster long-lasting relationships built on trust and support with best in class customer service every time you visit. If you are looking for personalized patient care, state-of-the-art procedures and a devoted dental team to meet your needs, call us at (318) 869-2593. We are always ready to help maintain and enhance your smile. What to do when you have a dental emergency? 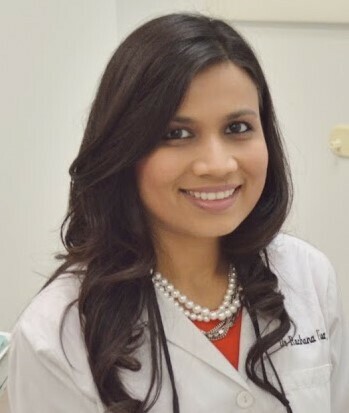 Dr. Rachana Vora, a leading general dentist in Massachusetts joins eHealth Radio and the Dentistry Information, Health News & Oral Health Channels. Dr. Vora discusses how to handle dental emergencies. What are the different types of dental emergencies? What should I do if a tooth breaks? What should one do in case of a toothache? What should we do with a lip or gum injury? How can we best avoid a dental emergency? Dr. Rachana Vora is a General Dentist who specializes in Oral Conscious Sedation Dentistry. 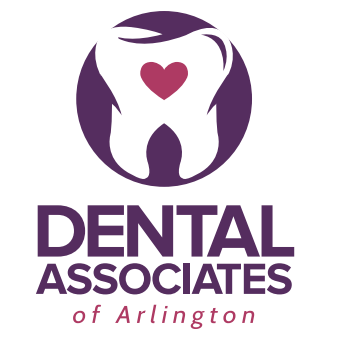 She is the Dental Director at Dental Associates of Arlington. Dr. Vora has been practicing dentistry for over ten years, working closely with patients of all ages. Dr. Vora’s practices general and family dentistry including restorative, cosmetic, implant and sedation dentistry. Committed to providing the best advanced dental care, Dr. Vora keeps up to date on advances in the dental field and enhances her skills by attending postdoctoral courses in prosthodontics, endodontics and oral surgery. Dr. Vora is a member of the American Dental Association, Massachusetts Dental Society, Academy of General Dentistry and the Dental Organization for Conscious Sedation. For more on Dr. Vora click here.